"The reality of life is that your perceptions - right or wrong - influence everything else you do. When you get a proper perspective of your perceptions, you may be surprised how many other things fall into place." - Roger W. Birkman, Ph. D.
The Birkman Method® is a scientifically developed, multi-dimensional assessment designed to help you achieve more at work and at home. It integrates behavioral, motivational, and occupational data together to predict behavior and work satisfaction across situations. 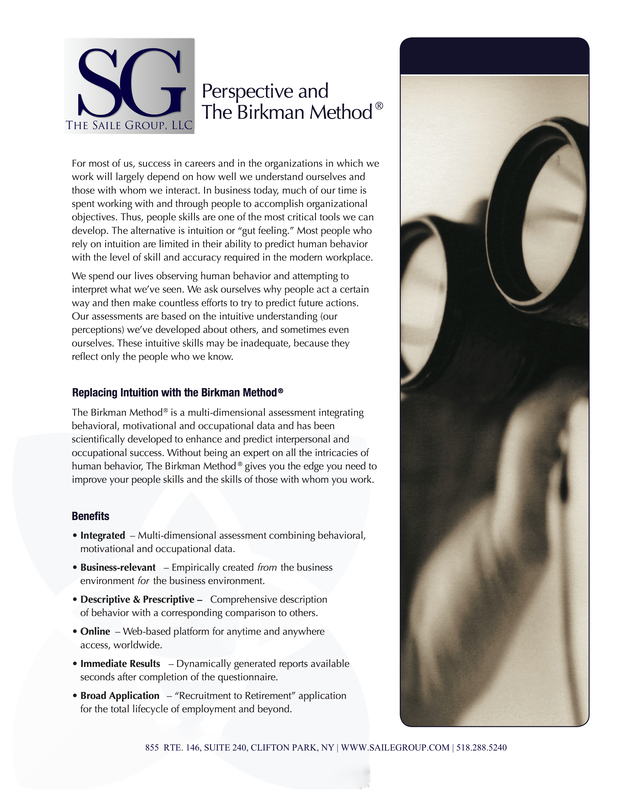 The Birkman Method is the personality assessment for improving people skills and aligning roles and relationships for maximum productivity and success.